Thank you to everyone who has registered to take part in one, two or all three of the 2017 Swansea Bay Summer 5k Series or the Children’s Fun Run! We and 360 Beach and Water Sports hope that you have an enjoyable and successful race! Each race starts at 7pm prompt from 360 Beach and Water Sports. Registration opens at 6pm in the clubroom. 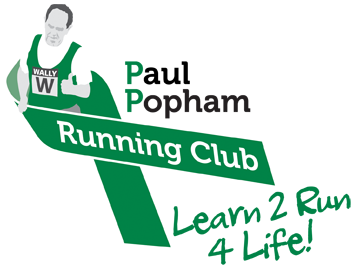 Please head to the clubroom when you arrive to complete a registration form if you have not done so already and to collect your race number. If you have paid on-line please bring confirmation of your payment with you. The race starts and finishes at 360 Beach and Water Sports. The route takes you towards SA1 Marina where you will turn around at the little park area and head back along the same route. There are prizes for 1st, 2nd and 3rd places for Male, Female and 11 to 15 years of age, which will be presented on the night Results will be available on this website. Each fun run starts at 5pm prompt from 360 Beach and Water Sports. Registration opens at 4pm in the clubroom. Please head to the clubroom when you arrive you complete a registration form if you have not done so already and to collect a race number. Please bring confirmation of on-line payment. The Fun Run starts and finishes at 360 Beach and Water Sports. The route takes you towards the Golf Course and turns around at the golf course to come back along the same route. Each child-taking place in the fun run will receive a certificate of completion. The route will be marshalled and there will be signs up to warn the general public that there is a race on – however – we would also ask you to bare in mind that the race does not have a right of way and that you respect the general public, that you are mindful of your own safety and be aware of any cyclists on the path and that you keep to the right hand side to avoid collisions with oncoming athletes. There is limited parking at 360 Beach and Water Sports however there is plenty of parking in the streets opposite the area and also in the recreational area. There are toilets and changing facilities at 360 Beach and Water Sports for you to use. There are also lockers for your use, you will need to bring your own padlock or purchase a padlock at 360 Beach and Water Sports for £5 to lock your belongings away. Any belongings left at 360 Beach and Water Sports will be left at your own risk. After the race you will be able to receive a burger or veggie burger and a beer or soft drink when you show your race number. PPRC and 360 Beach and Water Sports wish you all a safe and enjoyable event!